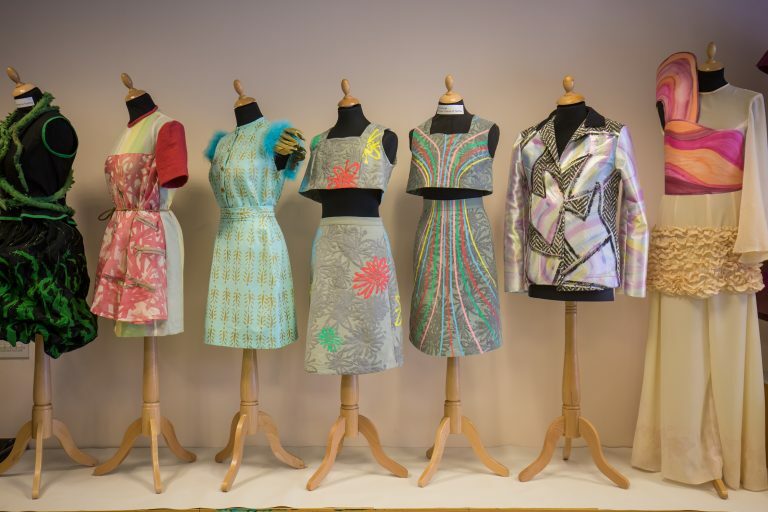 This foundation degree is a practical exploration of creative fashion and textiles design, where you will develop skills relating to art, fashion, design, visualisation, pattern construction, texture, surface and printed textiles. During this course you will produce a wide-ranging body of work, which will evidence your professional capabilities and prepare you for employment. Using the skills you have developed, you will have the opportunity to create high-quality personal and individual collections. 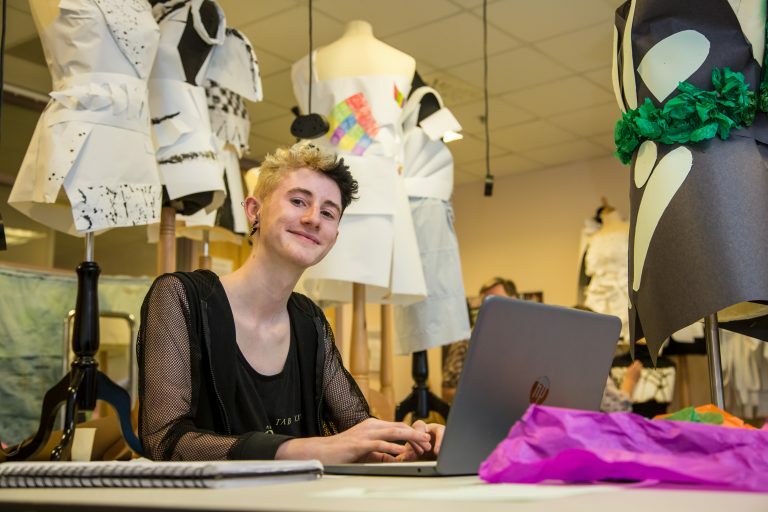 The course has a strong focus on employability, and ensures that you gain the essential skills required to work in the fashion and textiles industry upon completion. You will be encouraged to work independently, and by exploring the potential of small businesses and self-employment, you will have a broad range of career opportunities when you graduate. Level 4 (Year 1 for full-time students) you will learn through a series of fashion and textiles workshops, design processes and theories. In addition to this, you will also focus on areas of drawing, visual communication and contextual studies. This will enable you to begin creating an experimental and diverse body of work during your studies. Level 5 (year 2 for full-time students) you will begin to work more independently, as you grow in confidence and discover your professional voice and style. You will focus your own areas of interest and expertise, and work towards creating unique, individual collections that are underpinned by a high level of skill and quality. There is also the opportunity to showcase your final collection of work through exhibitions and a runway performance. Each module is worth a specified number of credits: you take a combination of compulsory (and if available optional modules) enabling you to cover key subject knowledge while developing your own interests. For full time students a total of 120 credits will be studied in each academic year. In the majority of cases this will consist of 6 modules. For part time students it will depend on the intensity of your studies. The balance of assessment by examination/test, coursework and practical depends to some extent on the optional modules you choose. The approximate percentage of the course assessed by coursework is as follows: Year 1 - 100% coursework Year 2 - 80% coursework 20% written submission Timetables are normally available one month before the commencement of your studies. As a guide, In 2018/19 the first year of this programme was timetabled on: Monday/Tuesday/Wednesday. Upon successful completion of this foundation degree you may progress to the final year of an associated course at another institution. Please note that there is a deadline for progression applications and places may be subject to availability. You could also consider self-employment, or working in various fields, such as fashion design, marketing, styling and purchasing.